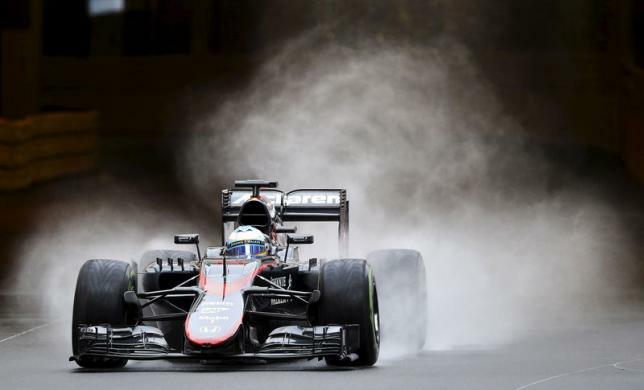 MONTREAL – McLaren’s Fernando Alonso hopes Sunday’s Canadian Grand Prix will be third time lucky, after his last two predictions of points failed to end a Formula One drought, but he is not counting on it. The Spaniard, who joined from Ferrari at the end of last year, has yet to score in six races while Britain’s Jenson Button ended the team’s blank for the season with eighth place in Monaco two weeks ago. “After missing two opportunities, in my case, to be in the points hopefully the third one will be the good one,” Alonso told reporters at the Circuit Gilles Villeneuve on Thursday, without too much genuine optimism. If Monaco was a real chance, because the slow and twisty street circuit allowed McLaren to be competitive despite their Honda engine being down on power compared to champions Mercedes, Canada is a fast track that takes its toll on engines and brakes. Alonso said there was much to improve, on both the engine and chassis side, but the former champions had a good understanding of what was needed. That said, reliability needed to be a lot better after retirements in Spain and Monaco. Honda, who started a new partnership with McLaren this season, have used two of the ‘tokens’ they have available to improve the engine during the Formula One season but Alonso questioned how much benefit that would bring in the near term. “The engine is exactly the same this weekend compared to Monaco,” he said. Button, speaking separately to reporters, sad he expected a “slightly tougher weekend” than Monaco. “Canada is a great circuit and there’s always a lot of action here, it’s not a predictable race whatsoever,” said the Briton, who won in 2011. “Last year I started the second-to-last lap (in) eighth (place) and finished fourth. I overtook two cars at the hairpin and two cars crashed at Turn One on the final lap, so anything can happen and it normally does.